If you think your eCommerce products sell themselves because they have great features, or because lots of people buy them in your brick and mortar store, think again. But first, keep in mind that there’s a big difference between what you offer consumers in a physical store and what you offer them online. In your physical store, people can pick up your product, check it out from every angle, and see if it looks like it’s worth whatever you’re charging for it. They can’t do that on your eCommerce site, and that means product content, including product images and descriptions, need to do the heavy lifting for you. First, unless you have the in-house talent, work with a professional photographer, one who will use the best lighting and a tripod to steady the camera, this to produce the best possible focus and highest resolution. A pro will also take multiple shots of the same image, this so he has a pool sufficiently large to pull the image which best sells your product. Remember that online shoppers can’t pick up and examine your products. One way to replicate the experience shoppers have in brick and mortar stores is to post multiple images, preferably showing your product from several angles. This also increases trust, because shoppers will conclude that you’re not trying to hide anything from them. Showing your product in isolation doesn’t create much of a connection with prospective buyers. To create that connection, let consumers see your product as they would use it. For example, if it’s an appliance, show it with a human model operating it. If it’s a clothing item, show someone wearing it. Consumers can’t easily identify with “things;” they can identify with people using those things. You don’t want anything to distract from the products you’re trying to sell—backgrounds that are cluttered or rendered in colors that conflict with the color of your product, can unnecessarily distract from your product, and that can drive down sales. Internet users are nothing if not impatient. Even a one or two-second delay in the loading of a product image will make some portion of consumers abandon a product page or abandon your eCommerce site altogether. One way to speed up load time is to correctly size images, ensuring the width and height are accurate (if they’re not, browsers might need to resize them, and that slows download time). Be sure to test load times before you launch new product images. Video is among the most effective marketing tools at your disposal, but most eCommerce marketers aren’t using it, which is unfortunate. According to Shopify, online shoppers are as much as 85% more likely to buy your products if you use a product video vs. a static photograph. In addition, because search engines love video, strong product videos can give you better search engine rankings. Online shoppers are likely to view multiple product pages on your site. If the aesthetic shifts from one page to another, they’ll become confused and potentially conclude you don’t know what you’re doing. 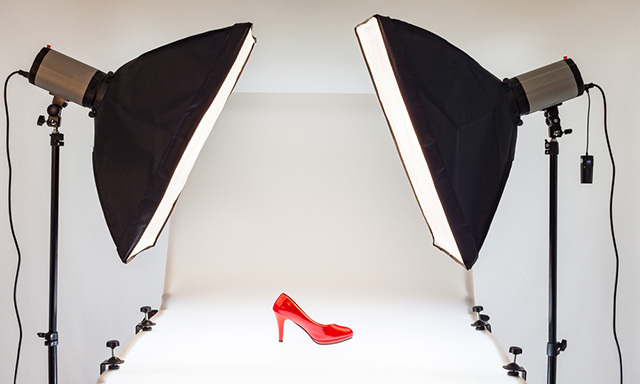 Make sure the images on all your product pages use similar lighting, sizing and spacing. The quality and consistency of your product images are critical components of your eCommerce success—but they’re not the only ones. To drive conversions and sales, every aspect of your site needs to work, guaranteeing an exceptional user experience, and inspiring the kind trust and credibility that brings online shoppers back, again and again. To ensure your site is doing everything you want it to, you should be working with experienced eCommerce site designers who have a track record of success. To learn more about the ways our Magento eCommerce site design, development and maintenance services can help you optimize your online sales, contact us today.